Automate and manage your processes on the IBM subscription-based business process management (BPM) platform as a service hosted in the cloud. Does IBM Business Process Manager on Cloud have the same capabilities as the on-premises version? Yes. IBM® Business Process Manager on Cloud has the full capabilities of IBM Business Process Manager on premises that are compatible with: IBM Business Process Manager Express, IBM Business Process Manager Standard and IBM Business Process Manager Advanced. The process assets are portable. Can I migrate from IBM Business Process Manager running on-premises to IBM Business Process Manager on Cloud? Yes. With artifact migration, you can move the Process Application components and assets from on-premises to cloud or vice versa. With in-flight process instances and data, migration is supported on a case-by-case basis and must be completed by an IBM Services professional. A user is anyone with access to the IBM Business Process Manager on Cloud service—concurrent or authorized users. This includes authors or designers, testers, administrators and end users. Users in your account are tracked on the Admin tab of the portal. Yes. IBM Business Process Manager on Cloud uses Security Assertion Markup Language (SAML) 2.0 to support single sign-on with other systems, and provides a REST application programming interface to a Provision User. Regular email support hours of operation are provided from 8:00 AM to 5:00 PM Eastern Standard Time, US, Monday through Friday (excluding holidays). You can submit questions or issues to the following email address to get support: supportbpmoncloud@us.ibm.com. What are the most recent updates to IBM Business Process Manager on Cloud? If you need to start a new, small project that does not have the same SLA requirements as IBM Business Process Manager on Cloud, you have a new option with IBM Business Process Manager on Cloud Express. It is an entry-level choice to help you get started with automating business operations. Where do I store my business data? IBM Business Process Manager on Cloud is considered a System of Interaction and not a System of Record (SOR) and therefore is not generally used for storage of business data. For the business databases that hold the data you use or modify in the tasks, you can use the database of your choice. Is IBM Business Process Manager on Cloud secure? Yes, it is built on IBM Cloud IaaS virtual public cloud platform. 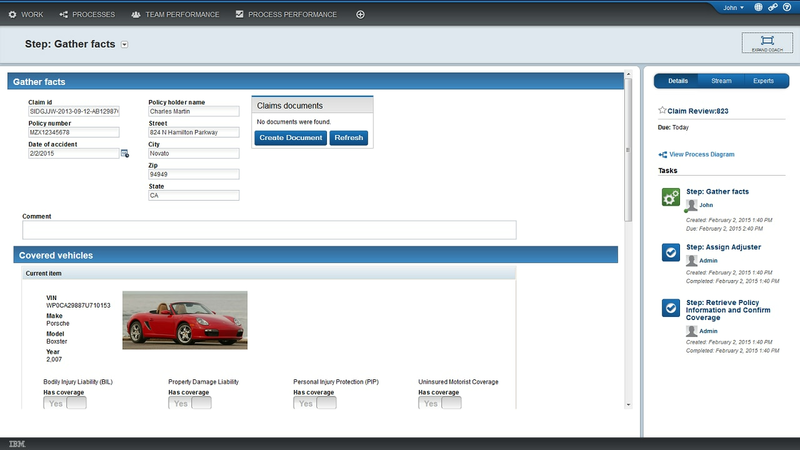 It is not multi-tenant, so each customer has a separate dedicated instance of IBM Business Process Manager on Cloud. Each instance is contained within a private VLAN and is made by using an encrypted SSL connection.